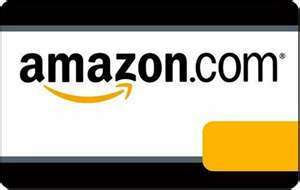 Linda's Angels: 4 - Hour FLASH Amazon Gift Card Giveaway!! 4 - Hour FLASH Amazon Gift Card Giveaway!! $35 Amazon Gift Card 4-Hour FLASH Giveaway!!! A few AWESOME Bloggers have teamed up to give you this wonderful $35 Amazon Gift Card! We believe in quick, small, and easy giveaways! Our giveaways only have a FEW entries to fill out and you will know if you WIN in just a couple of hours! WHAT FUN! Good luck on tonight's giveaway! See you back on Friday for another great FLASH giveaway! hard to think what to say on these blog posts! Leaving post comments! :) I have a short time I can be on the internet and leaving comments take up time. Especially when you have to fill in those horrible security code. I dont like the e-mails and have to enter into another contest to get an entry. I won 2times on the other contest I didnt want because the prize is for children. I dont have children.Thank you!!! When you have to sign up for e-mails.. But really, it doesn't bother me! I am just excited to have a chance to win! The ones where you gotta post on another giveaway! REALLY??? UGH! I don't do GFC so I hate it when the first and only required entry is that! My least favorite is the GFC sign ups. I don't know why, but I despise them!